Ernest L. Smith and navigator Emory B. Bronte of the first civilian flight from the U.S. mainland to the Hawaiian Islands. On July 14, 1927, they flew from Oakland, California, in the Travel Air monoplane City of Oakland to the island of Molokai, where they crash-landed unhurt. 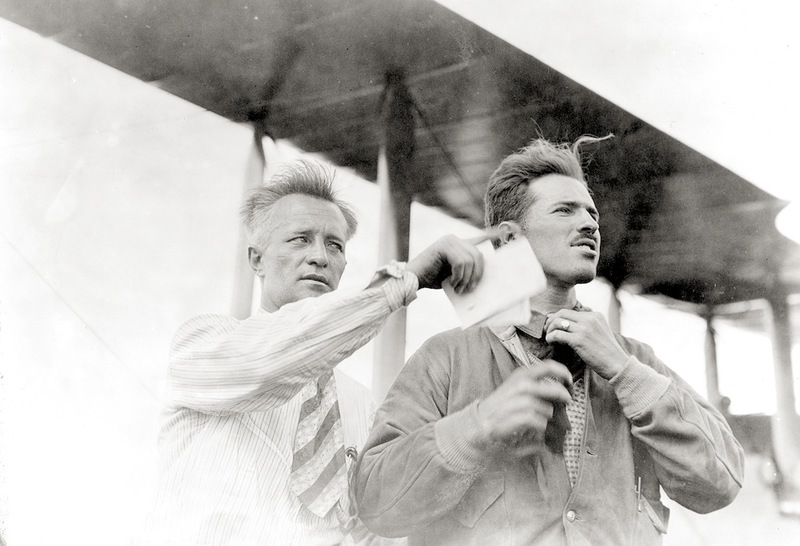 Ernest L. Smith and navigator Emory B. Bronte of the first civilian flight from the U.S. mainland to the Hawaiian Islands.